Boy, have I got some great news to share today in regards to the Chalk N Stock monthly challenge. Drum roll please... Chalk N Stock is now a ANYTHING GOES challenge and DON'T have to have chalk on your project to enter. That's right, anything you can create with or without chalk can be entered into the challenge. The challenge date has been changed also and now the challenges will start on the 15th of each month and end on the 14th of the following month. One last thing, we have new design team members who are excited to be on the team and show you what they have created in the hopes of inspiring you! I have to show you our new design team button. It took me some time to find a picture of myself to share but I eventually did. I'm usually the one behind the camera and not in front of it. Now for my card, which still has a touch of chalk ink because I love using it to edge my cards. I made this card for a dear friend whose birthday we were celebrating. I used pencils to color the digital file and the yellow around the saying "birthday girl" is chalk ink. I have found the washy tape is fun to use but I have to use to layers on cards with dark backgrounds like I did on this card. Here is the inside of the card and the rest of the saying. 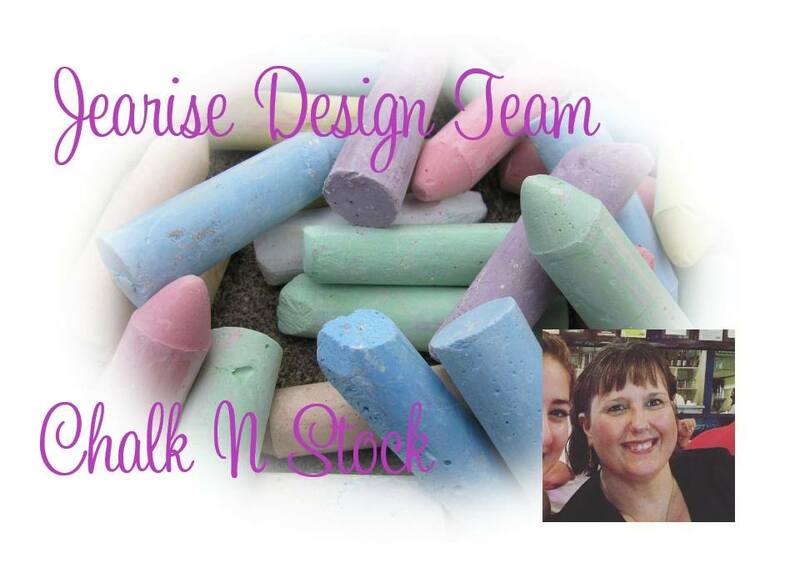 Now it's your turn to get creative and show us what you got at Chalk N Stock monthly challenge! Nice simple clean card! Thanks for being on the team!